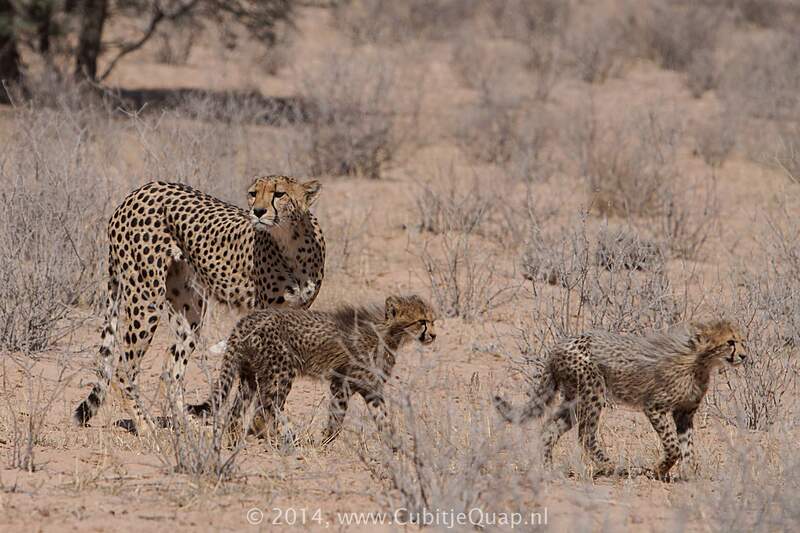 A female cheetah can have a litter of up to nine cubs, although the average litter size is four. 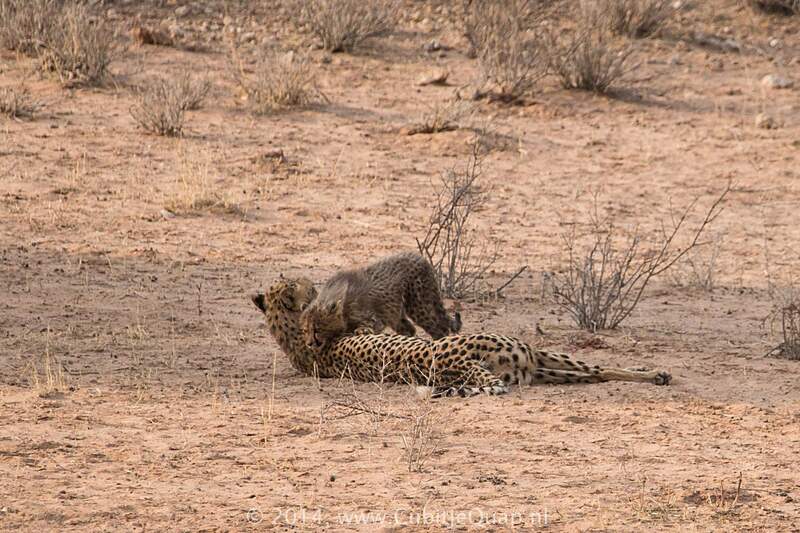 Unlike some other cats, the cheetah is born with its characteristic spots. 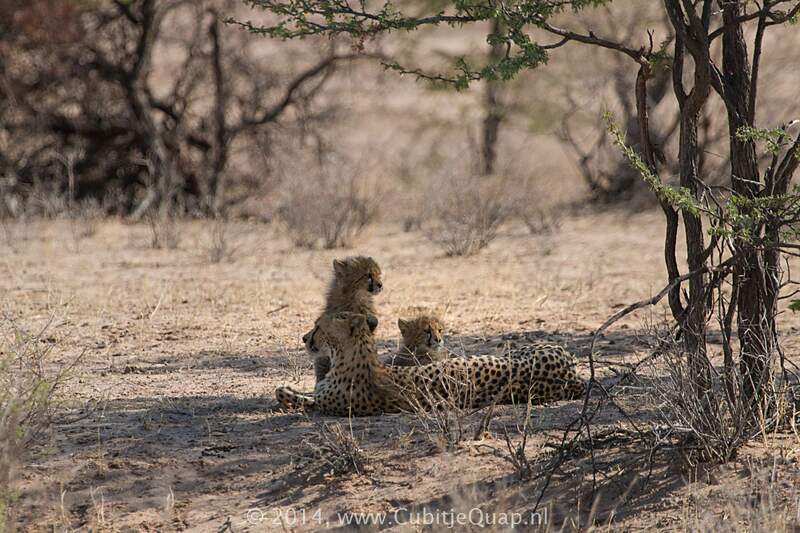 Cubs are also born with a downy underlying fur on their necks, called a mantle, extending to mid-back. 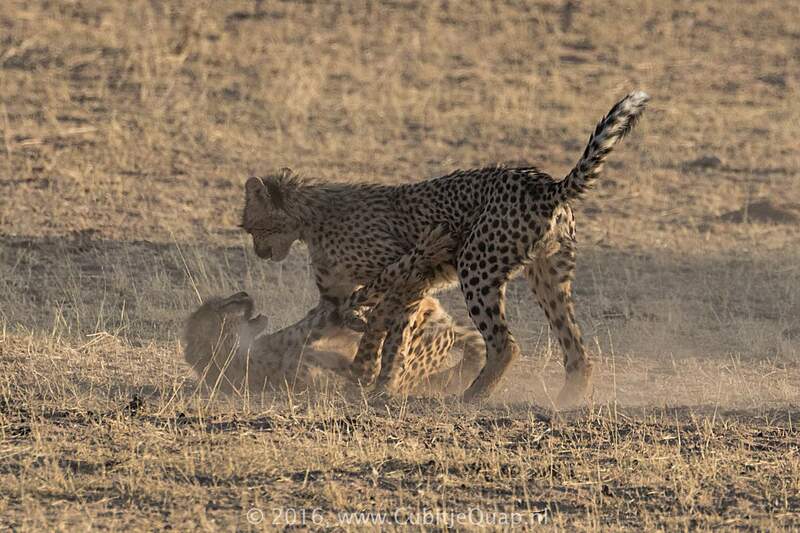 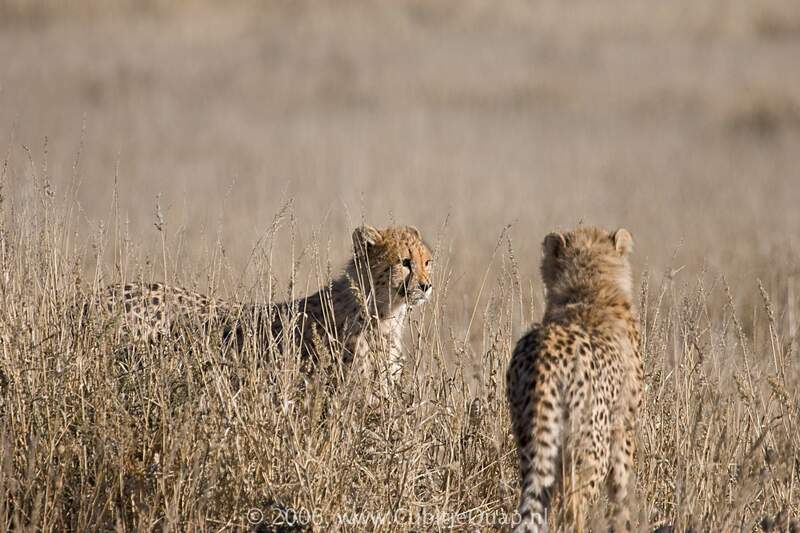 This gives them a mane or Mohawk-type appearance; this fur is shed as the cheetah grows older. 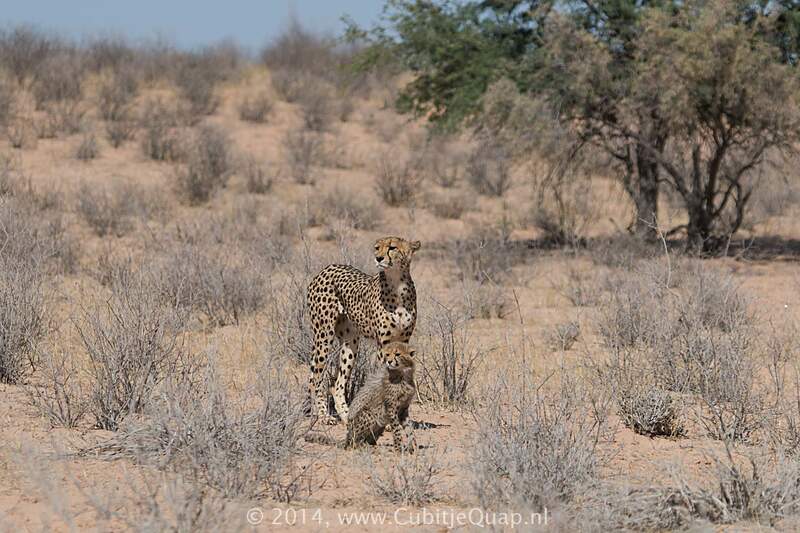 Females live alone, except when they are raising cubs and they raise their cubs on their own. 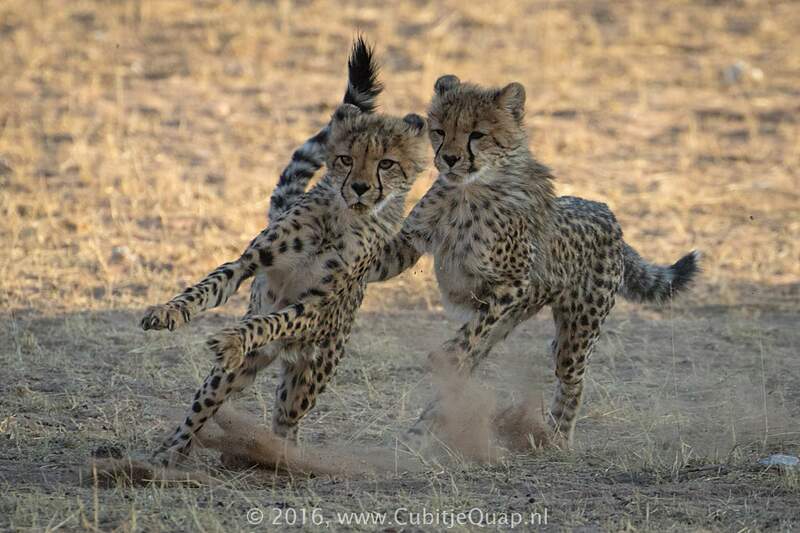 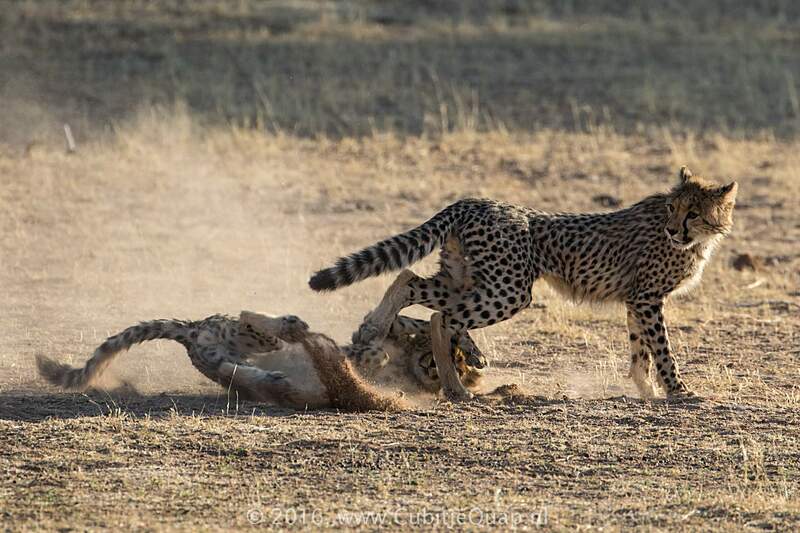 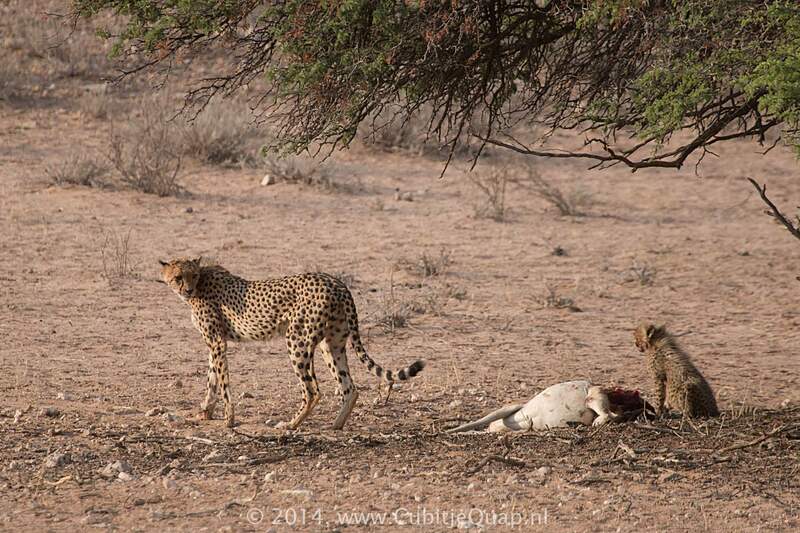 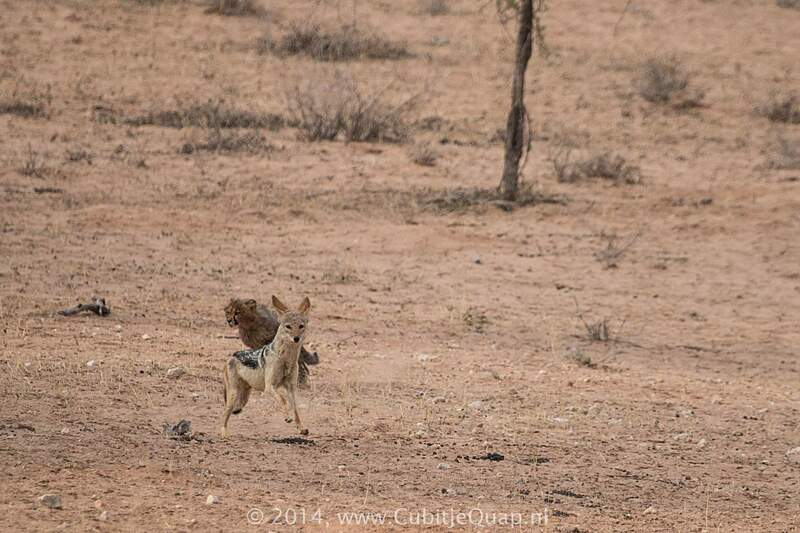 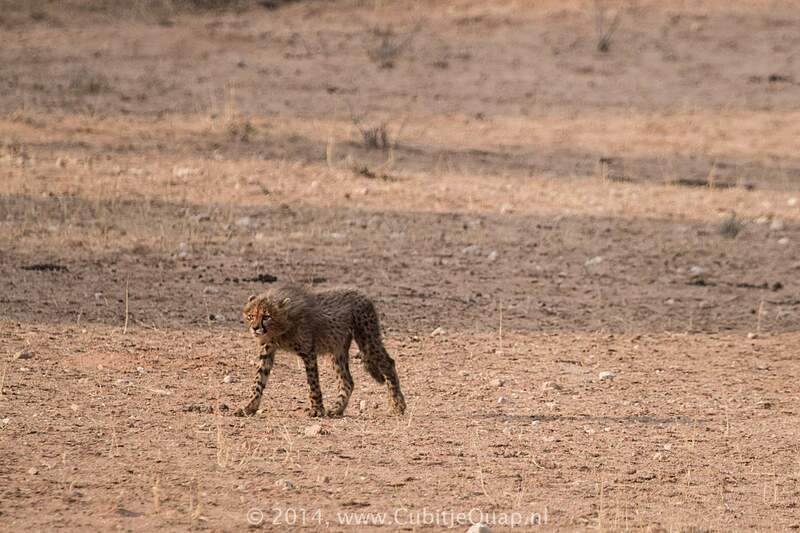 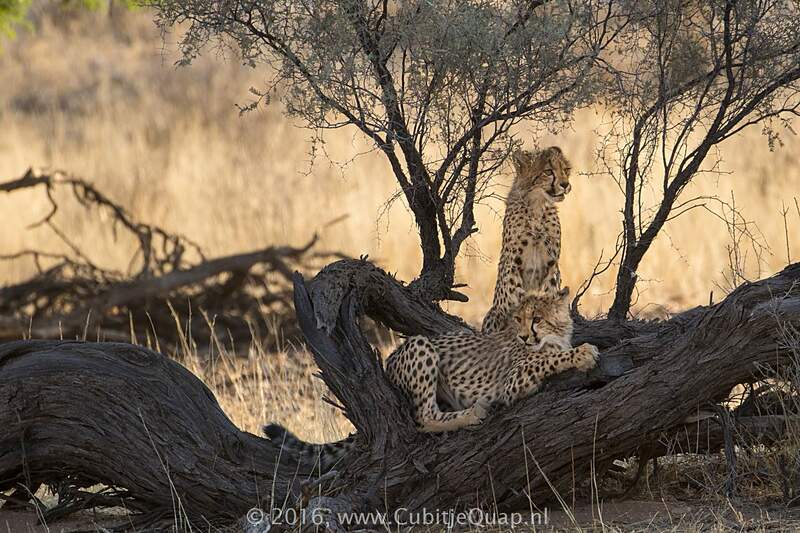 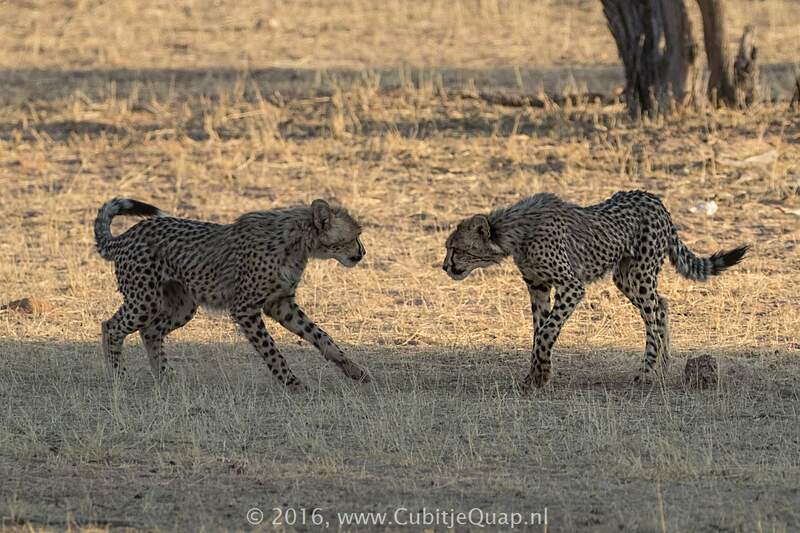 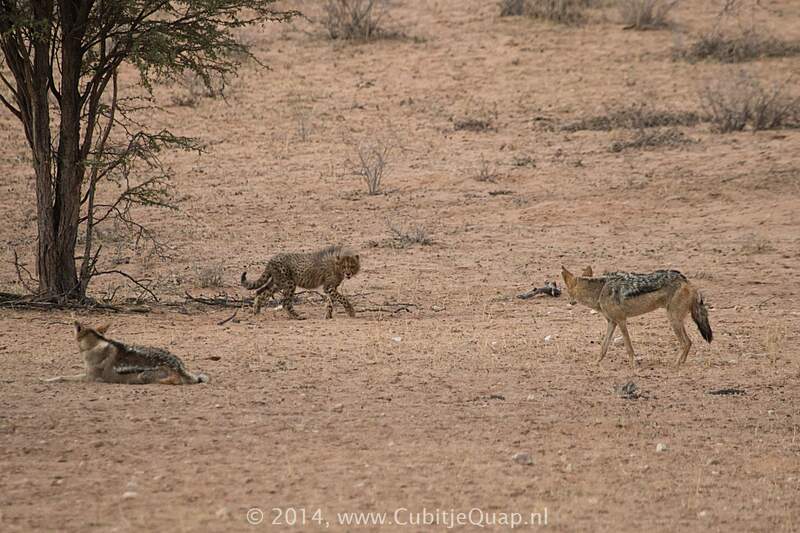 The first eighteen months of a cub's life are important; cubs must learn many lessons, because survival depends on knowing how to hunt wild prey species and avoid other predators. 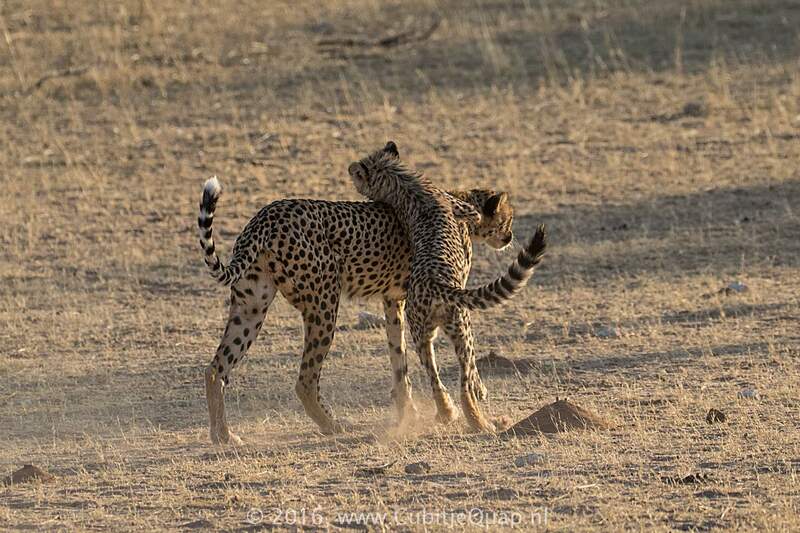 At eighteen months, the mother leaves the cubs, who then form a sibling ("sib") group that will stay together for another six months. 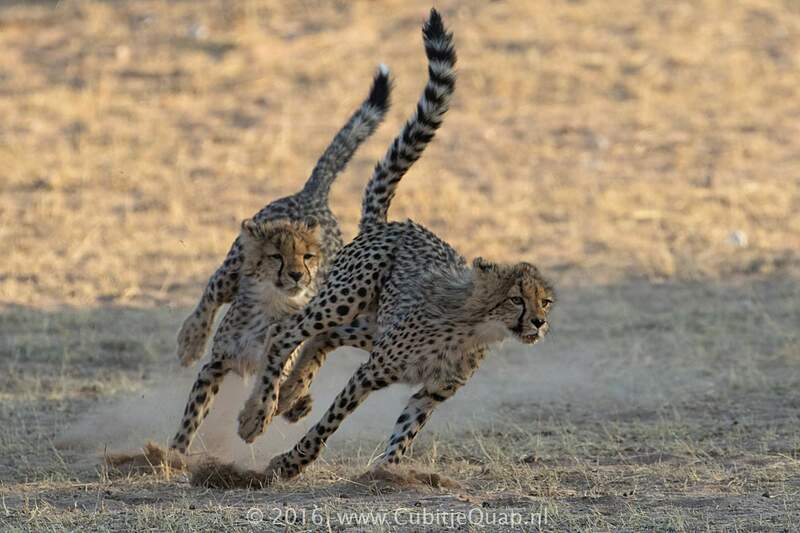 At about two years, the female siblings leave the group, and the young males remain together for life.